A policeman who allegedly shot his estranged wife in Rabat this morning pleaded not guilty to attempted murder on September 26. Carmelo Cutajar, 47, of Rabat also pleaded not guilty to seriously injuring his wife, carrying an unlicensed firearm and committing a crime he was duty bound to prevent. 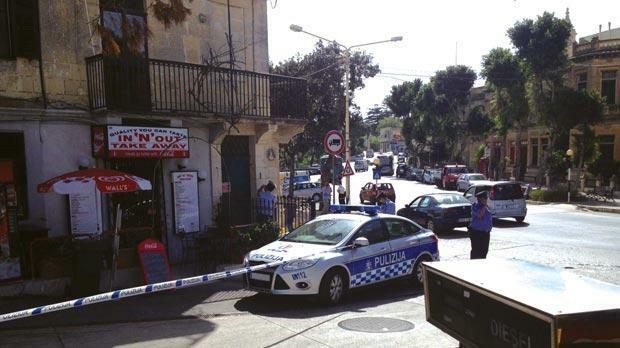 According to investigators who reconstructed the case, Mr Cutajar showed up at Point De Vue guesthouse and restaurant in Rabat at about 1pm, where his 45-year-old estranged wife, Mary, was working. The couple, who have two children aged 14 and 20, are believed to have had an altercation in the car park before he allegedly shot her in the torso. She ran into the restaurant where she works and pleaded with colleagues to help her as she did not want to die. Mr Cutajar took off in his car and turned himself in at the nearest police station, from where he was escorted to hospital. Four bullets were believed to have been fired in all. Three were directed at the woman while the other was discharged when Mr Cutajar turned the gun on himself. The gun that was used was not a service weapon but was a “very old” firearm. No plea for bail was made and the Magistrate ordered that M Cutajar be kept at Mount Carmel where he has been since the shooting.